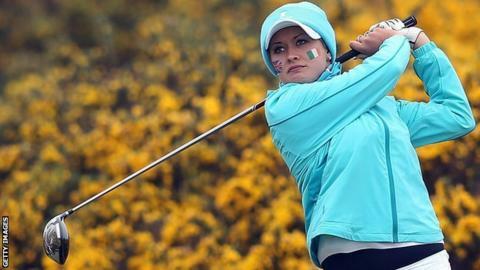 Welsh rookie Amy Boulden won a six-hole play-off to take the Association Suisse de golf Open on the Ladies European Tour access series (Letas) at Gams. Boulden, 20, of Conwy beat England's Kelly Tidy and Scotland's Sally Watson to claim her first professional title. "I'm obviously thrilled, especially with it being the first event of the season on the Letas circuit," said Boulden. She heads to the Turkey Ladies Open, a Ladies European Tour event.